Above all else, Watercliffe Meadow is a place for learning. Learning is at the heart of everything we do. Learning happens not just in lesson time but during social times, at home and through a whole range of other activities. Our curriculum is based on a ‘cross-curricular’ learning approach, which makes meaningful links across different subject areas. We have designed an intelligent creative curriculum that is imaginative, purposeful, original and valuable. It is designed to develop children’s creativity through planned teaching and learning curriculum experiences that are relevant, meaningful, broad and rich so that all children are inspired and motivated to learn. We know that not all children learn in the same way or at the same pace. Each child is unique. They all have their own strengths, talents and needs, just as adults do. Our aim is to help children to discover the things that they are good at and to support them in the areas that they find more difficult. 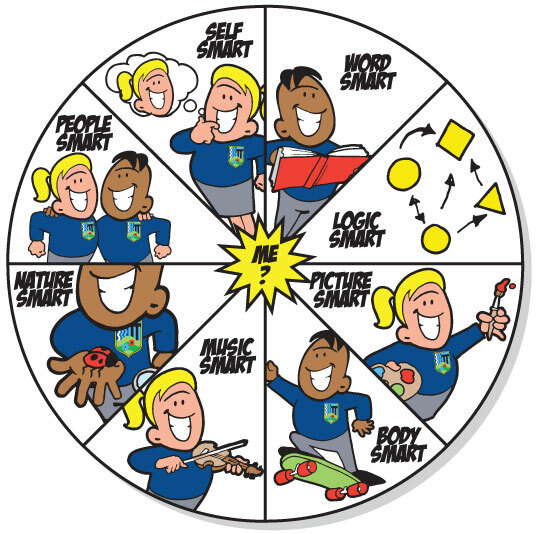 We often refer to our ‘smart wheel’, which shows that people can be smart in different ways. 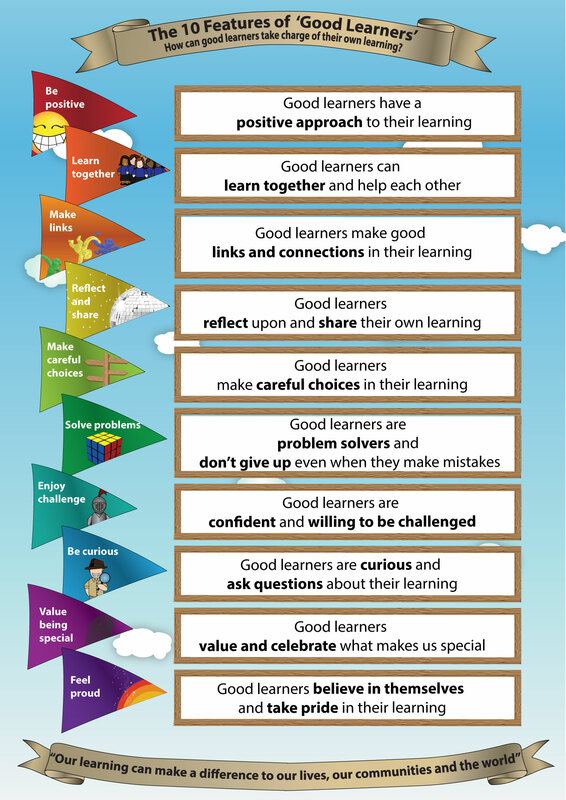 We use it to show that being a good learner in one area can help you become a better learner in another. Teaching children to recognise their own strengths and raising their confidence as learners and belief in themselves is all part of the process of learning. To be successful in life, children need to have good basic communication, language and literacy and mathematical skills. All our staff have a broad understanding of child development and we have staff specifically trained in a range of strategies and interventions to support children who have difficulty in developing these basic skills. Our aim is that “Every Child at Watercliffe Meadow is a Reader” and that, when they leave us, they are independent learners who are capable of taking charge and directing their own learning. They will also be competent in the use of technology as a tool for learning. We explicitly teach children about developing good learning behaviours so that they can learn whenever, whatever, wherever. During 2010 and 2011 staff at Watercliffe Meadow and Longley worked together with Jane Reed (a nationally recognised figure in education), to devise a set of ‘learning principles’ that would be central to the learning experience for all our children. Over an 18 month period, staff at both schools worked with children, parents and staff to answer the question – ‘How do we want our children to be as learners when they leave us in Y6’. 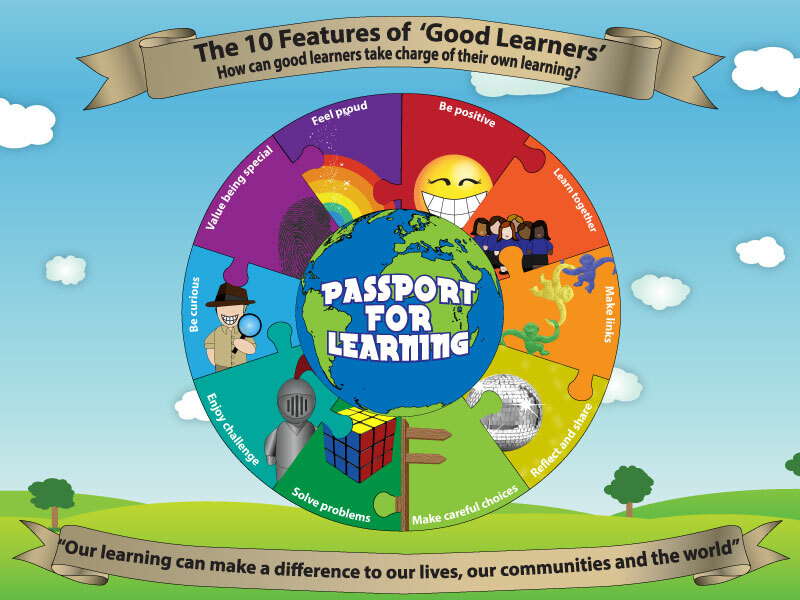 The result of this action research is the development of 10 learning principles which will give all our children a ‘Passport for Learning’ for the rest of their life (the wheel above shows our learning principles). Our aim is for all our children as they move through school to become increasingly aware of the own strengths as learners and to work on those areas in which they are not so strong. It is our intention that by the time children go on to secondary that each of them not only knows how they have developed across the 10 learning principles but also that they have collected evidence of themselves demonstrating these principles during their time at Watercliffe Meadow. All the latest educational research shows that children who know how to be a ‘good learner’, and can apply this knowledge, are successful. We feel strongly that if we equip our children with this ‘Passport for Learning’ then we are giving them the best life chances and the ability to really make a difference in the world. Learning is central to everything that goes on at Watercliffe Meadow and we try to ensure that children have plenty of ‘rich’ experiences every year through visits, meeting visitors and a practical, engaging curriculum. Some of the key features of our curriculum are explained below. We consider these to be important features as they are taught and used in all year groups throughout our school and help children understand their learning and give them skills to make good progress across the curriculum. ‘Philosophy for Children’ is a way of encouraging children to question and challenge issues they may encounter in life. It promotes the use of positive language to debate ideas, active listening skills, deeper levels of thought and empathy for others. P4C also provides a great way to explore concepts within our ‘Theme’ lessons. ‘Quality Circle Time’ is a chance to explore issues that may arise within the class. Children are encouraged to discuss any problems and others offer solutions saying ‘Would it help if…?’ These sessions are part of our whole school ‘listening systems’ for children and are designed to increase the children’s awareness of themselves and how we affect each other. Sessions are carefully structured to ensure children reach positive solutions and everyone leaves with a sense of well-being. We follow ‘Letters and Sounds’, which is published guidance from DfE and use Jolly Phonics songs and actions as a vehicle for delivery in class. This is a session of focussed reading time where groups read with a teacher of teaching assistant looking at a specific reading target. During these sessions other children work on tasks that also develop their understanding of text and reading. At Watercliffe Meadow, we follow a cross-curricular approach to learning. Teachers plan topics around themes, which usually have a geography, history or science core element and a ‘big question’ running through the learning. We call each theme a learning ‘expedition’ and this learning journey usually ends with a finished product or a celebration event. Throughout the ‘expeditions’ and other curriculum learning we encourage children to critique their own and each other’s learning. New learning in most subjects will often start with the children and class teacher looking at an exemplary piece of learning (called a WAGOLL – what a good one looks like) and picking out what makes it good (warm feedback) and how it can be improved (cool feedback). From this children will create what is called a ‘rubric’. A rubric is simply a number of statements taken from the warm and cool feedback as a guide to produce a high quality piece of learning. This process encourages children to take ownership of their learning by looking carefully for the features that make something high quality so that they can reproduce this themselves.